Guess what we’re going to do today? We’re going to make BISCUITS! And we’re probably going to make a few people cry or write me angry letters. I make biscuits and bacon for Joe almost single weekend, and use a pretty basic method. Always by hand, never in the food processor. Always all-butter (a cube or two of lard if I have it), never shortening. 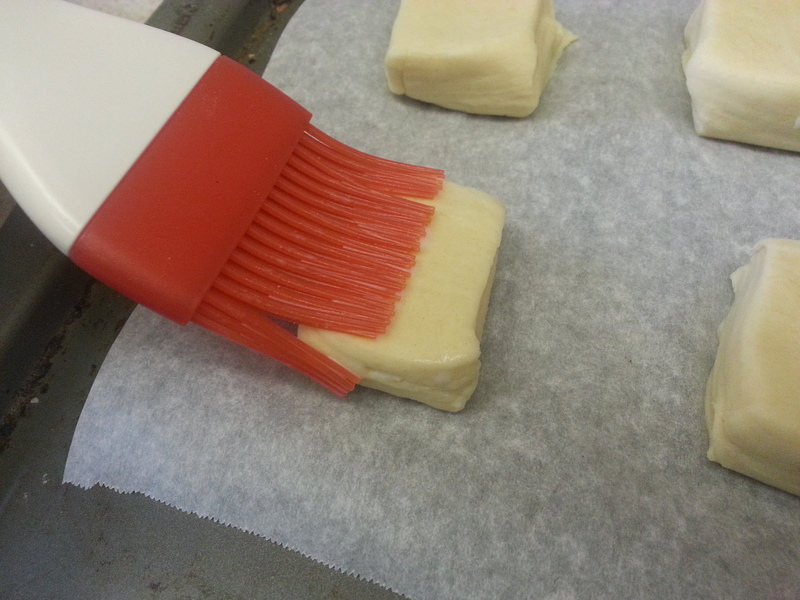 Always patted gently, never rolled out, and cut only once. 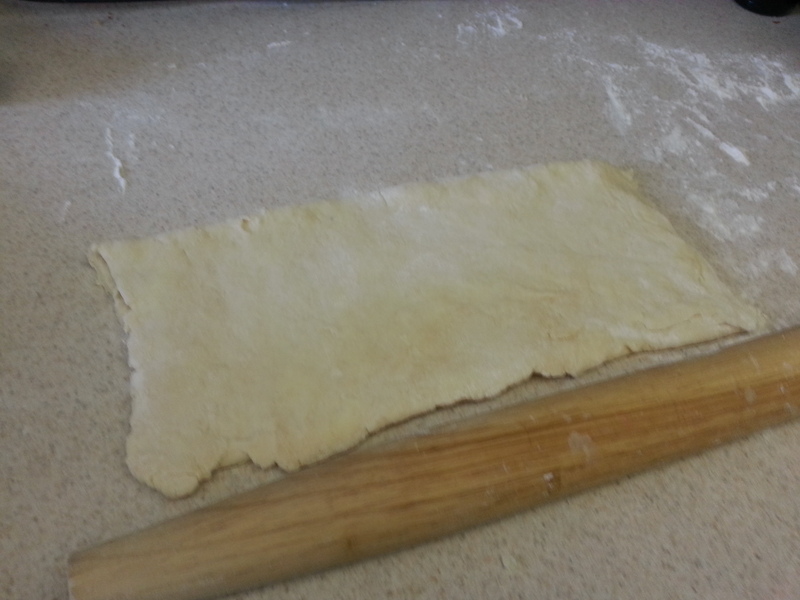 Dough scraps are mashed together to make a mutant (but still delicious) biscuit, but the dough is NEVER re-rolled. And if it gets remotely warm while being handled, to the freezer with it! The point here is that I’ve been threatened by enough Southern cooks in my life to know that YOU DO NOT OVER HANDLE THE BISCUIT DOUGH. Want them tender, crispy, and flaky? The less you touch it, the better. Otherwise: Bricks. Buttery, delicious bricks, but heavy and flat all the same. It occurred to me that the proportion of butter:flour made the ratio slightly closer to a croissant dough or pate brisee than a biscuit, but croissants use yeast, so it’s not abnormal there to handle the dough a lot. 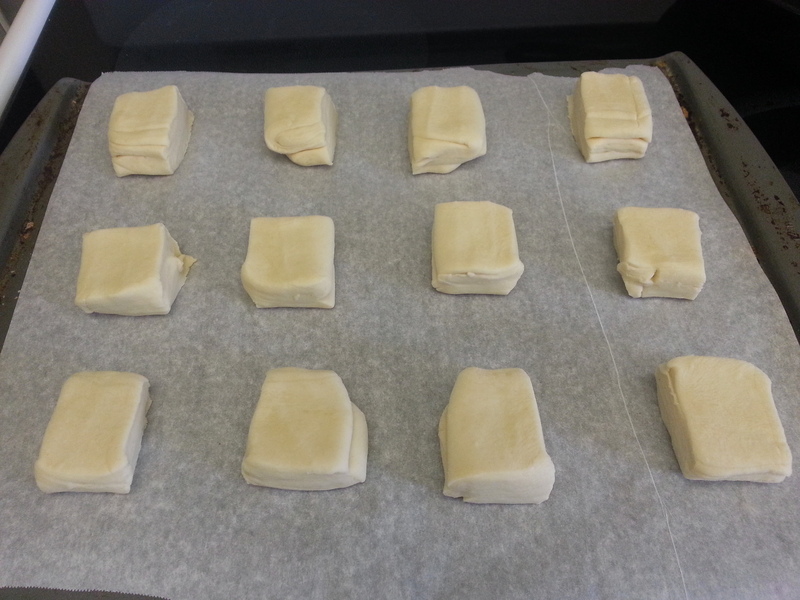 And pate brisee doesn’t need to rise, and has practically no liquid at all. At this point I figured that while I was already going off into left field, that I might as well just go all the way and see what resulted. The second time I made these, I made a few improvements to the methodology, and a 1 oz. 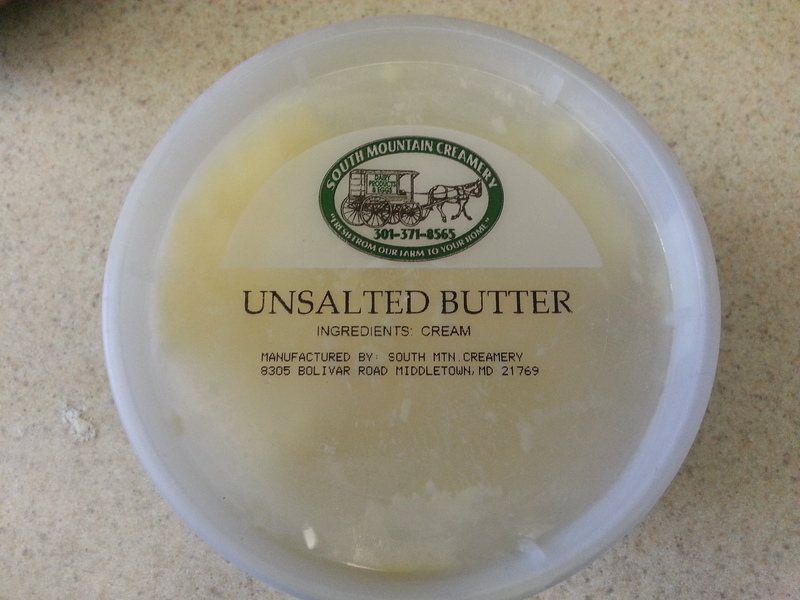 reduction in the amount of butter. 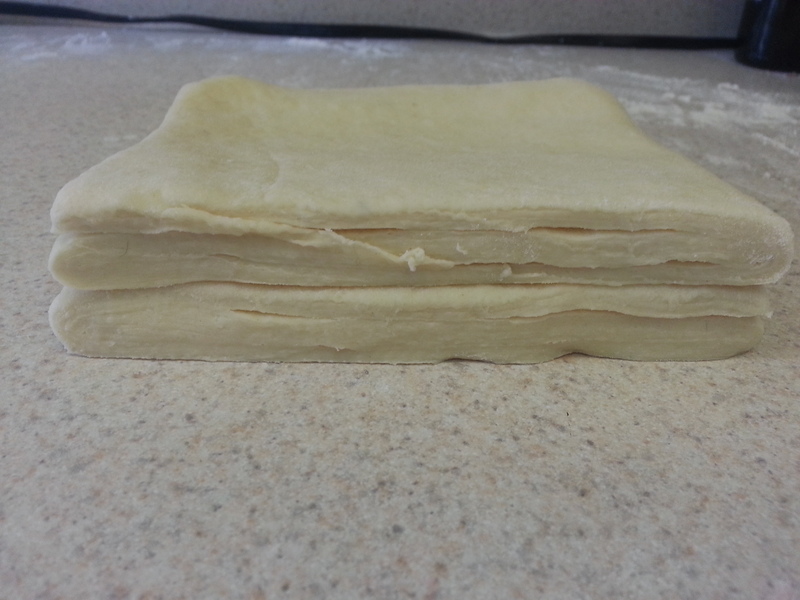 This was because the most inner layers in the first batch were over-saturated and a little greasy for my taste. 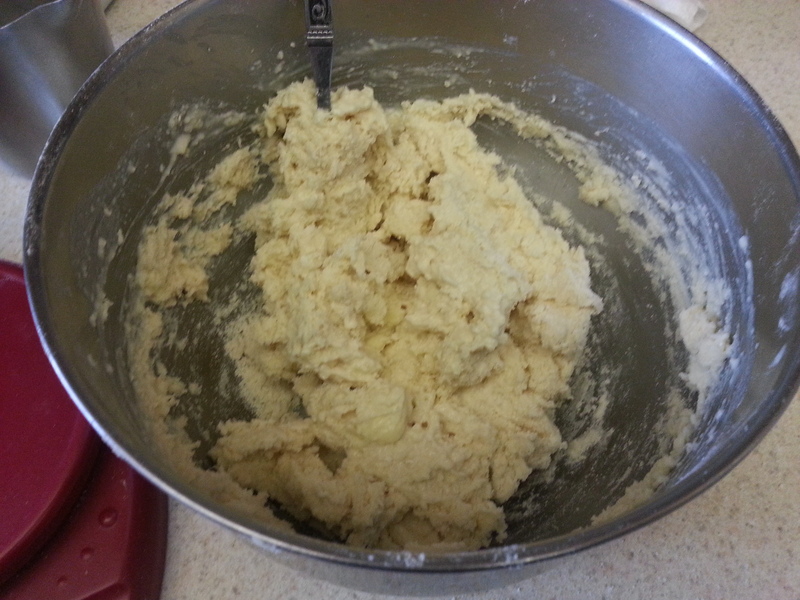 In a medium sized mixing bowl, mix the flour, salt, and baking powder. Add the cubed butter. Smear and break up the pieces until the mixture is pebbly. The largest pieces of butter should be pea-sized. 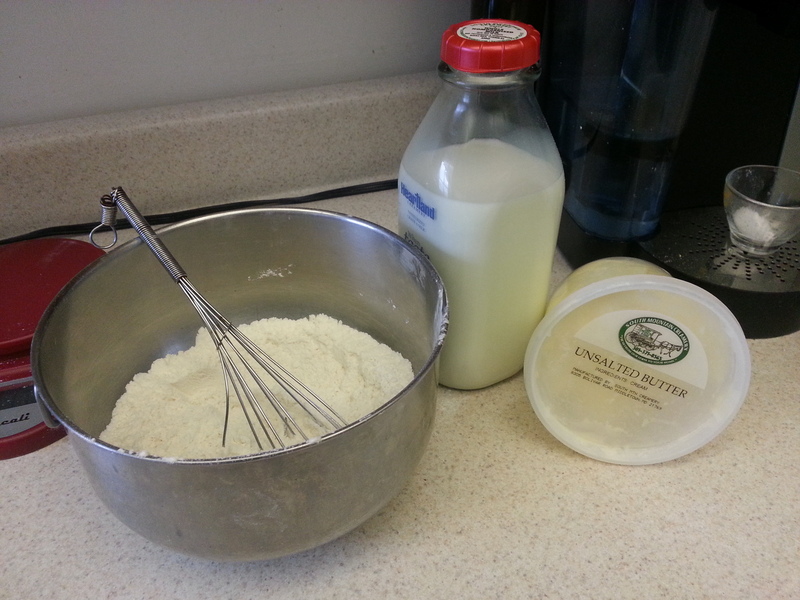 Add the milk / buttermilk and stir the mixture with a fork until a rough dough forms. 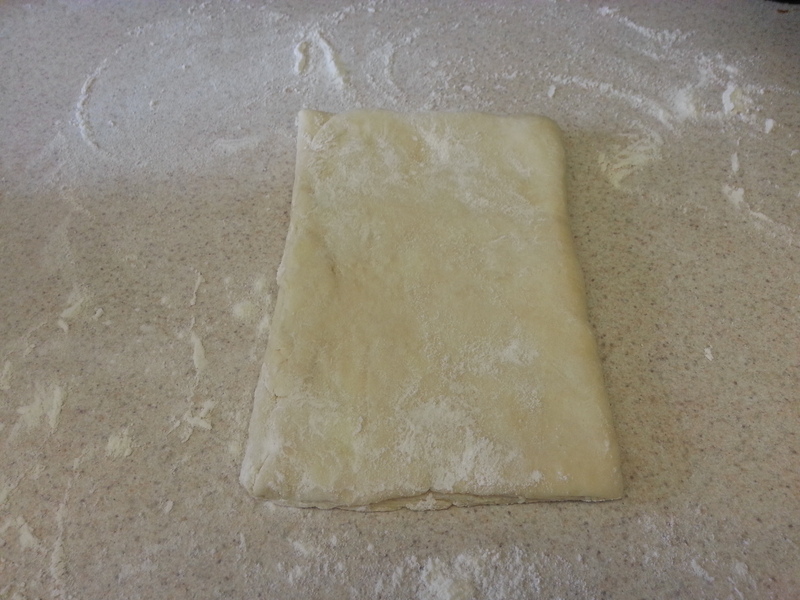 Transfer the dough to the counter and pat it into a small rectangle. 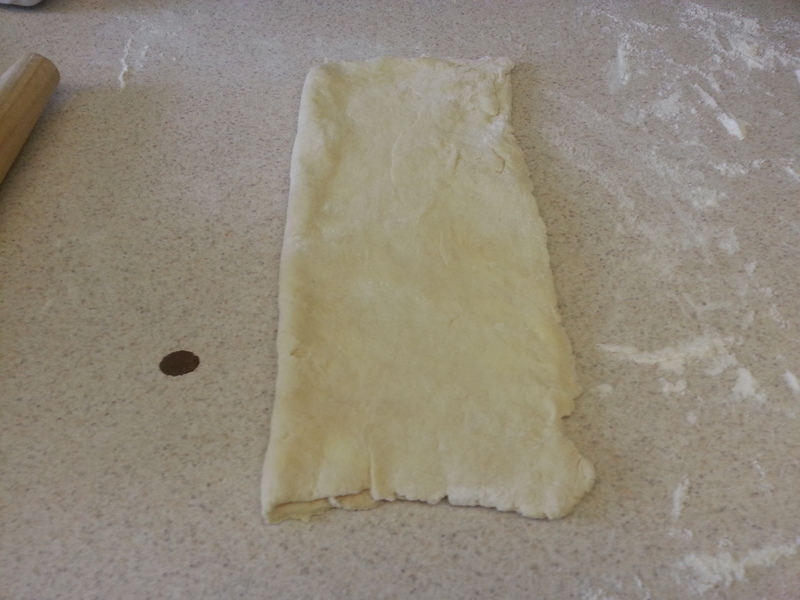 Wrap this in plastic wrap and refrigerate it for a half-hour or until it is firm enough to roll. 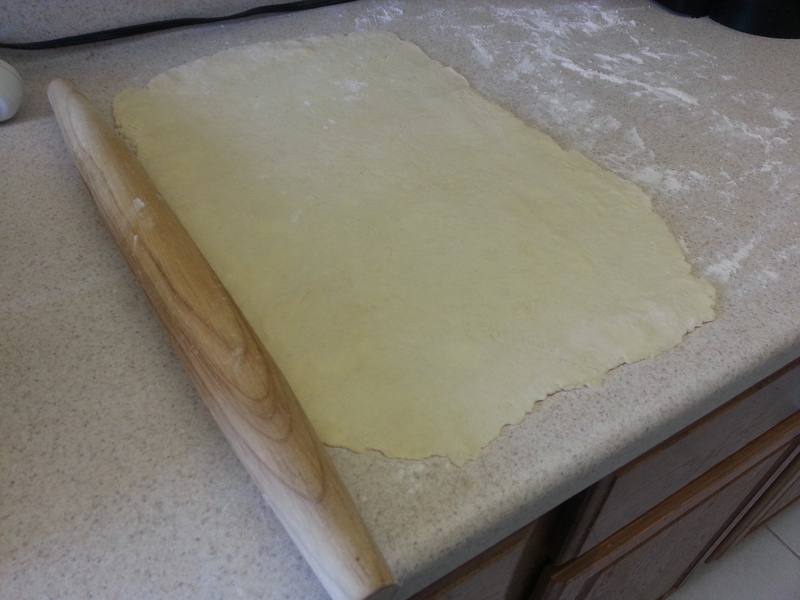 Remove the dough from the plastic wrap and roll into a 9 x 17 in. rectangle. 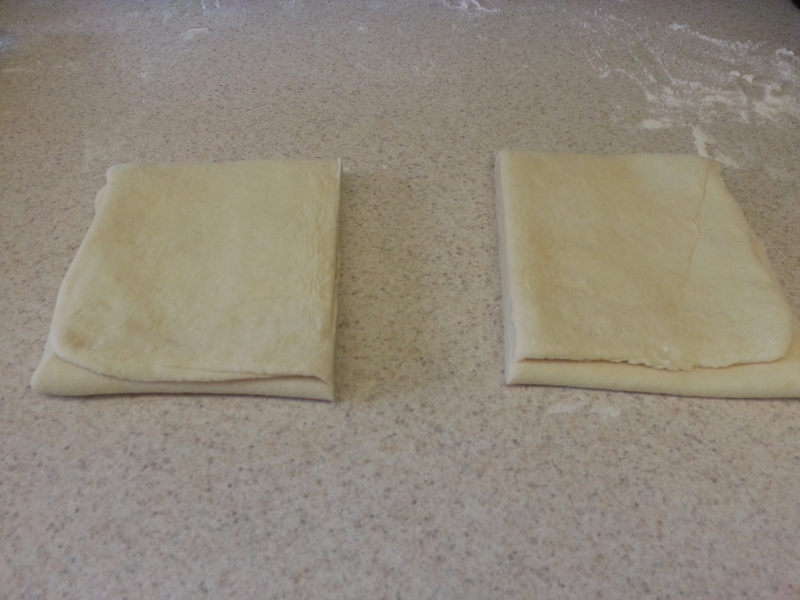 Letter-fold (as in my croissant recipe) into thirds, and then rotate the dough 90 degrees and repeat the process. 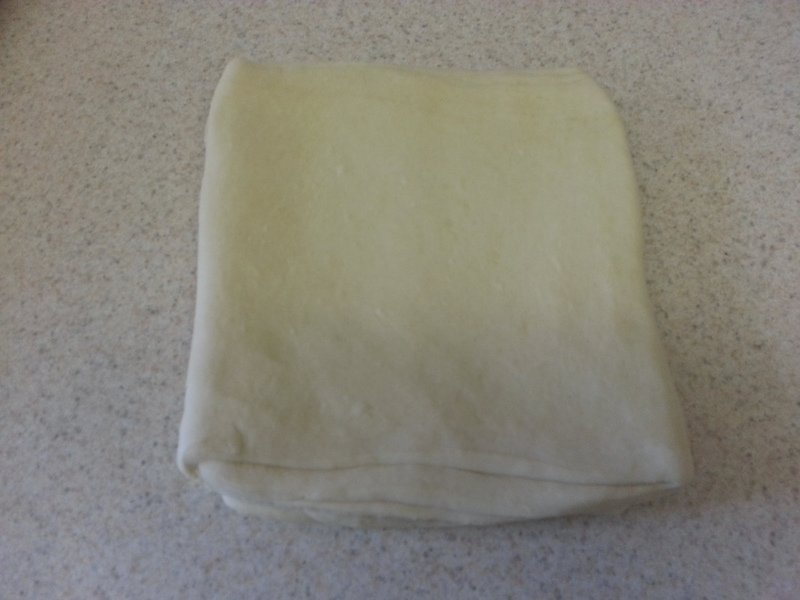 Wrap the folded dough in plastic wrap and refrigerate for a half-hour. 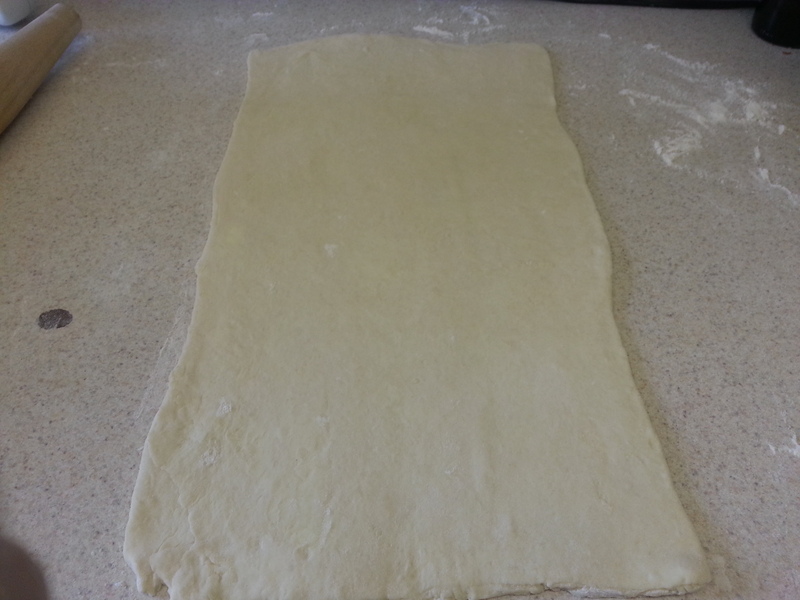 Remove the dough from the plastic wrap and roll into a 9 x 17 in. rectangle, and again letter fold into thirds, rotate, and fold again. This time, cut the rectangle in half, and stack the two squares on top of one another, making sure that the folded sides of each square are at opposite ends. 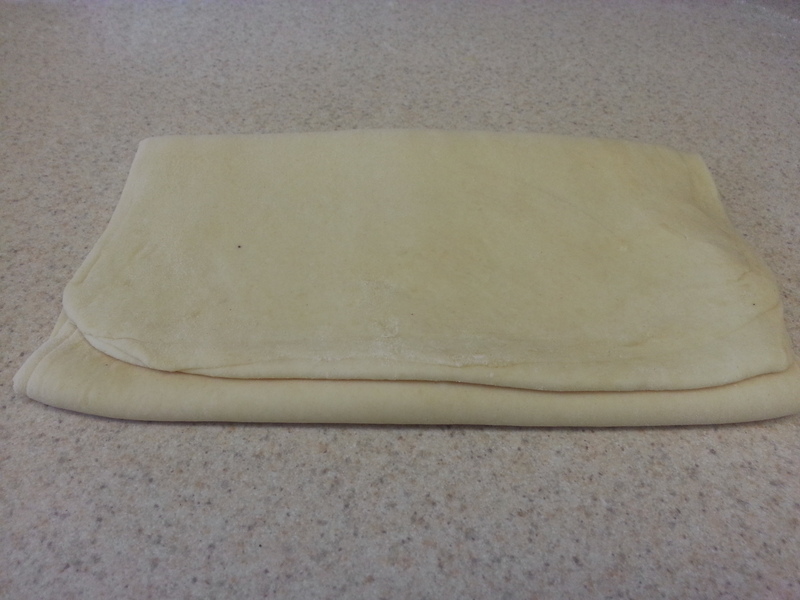 Press down, and then wrap the folded dough tightly in plastic wrap and refrigerate for a half-hour. 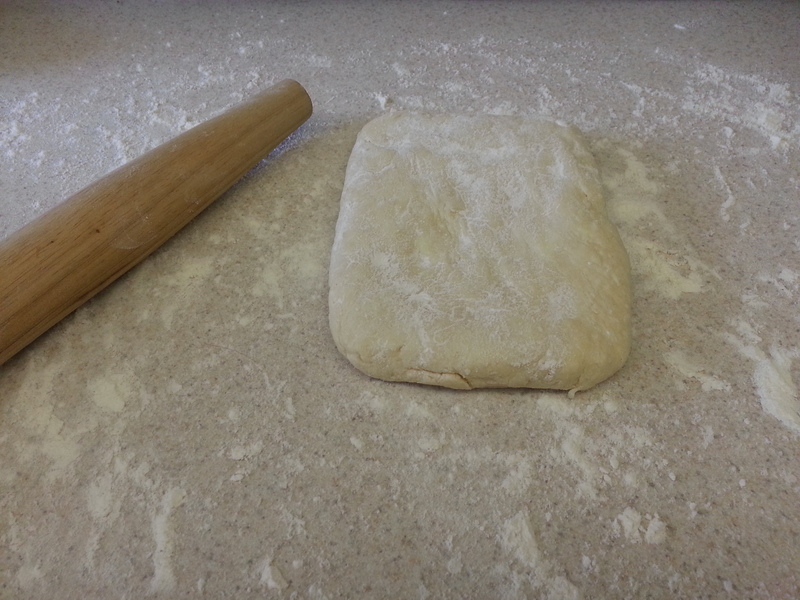 Remove the dough from the plastic wrap for the final time, and repeat the previous three-step process. 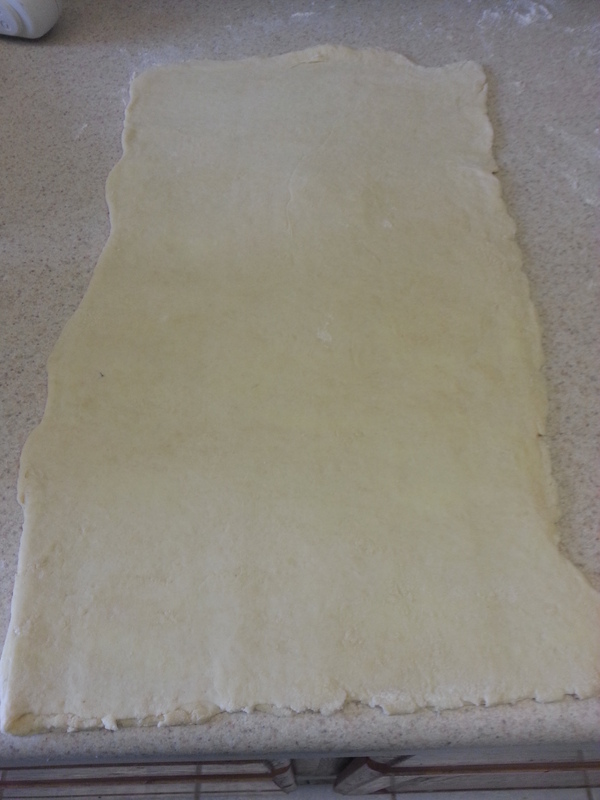 Then roll or press it out to 1/2 in. thickness. 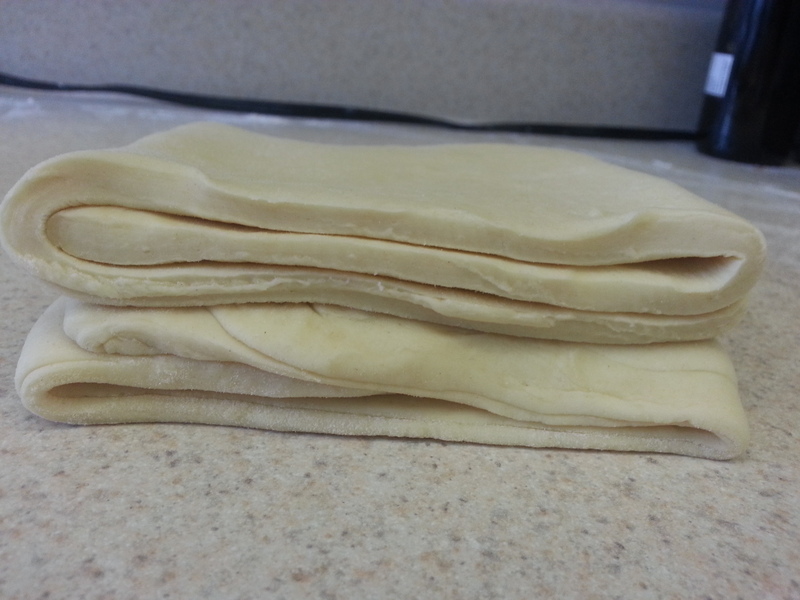 Cut into 12 squares with a sharp knife or pizza wheel. Place the biscuits on a parchment-lined baking sheet and refrigerate while the oven preheats. Preheat the oven to 375 degrees. Brush the tops of the biscuits with a beaten egg or a little bit of cream or milk. Bake for 20-25 minutes or until fluffy and golden brown. 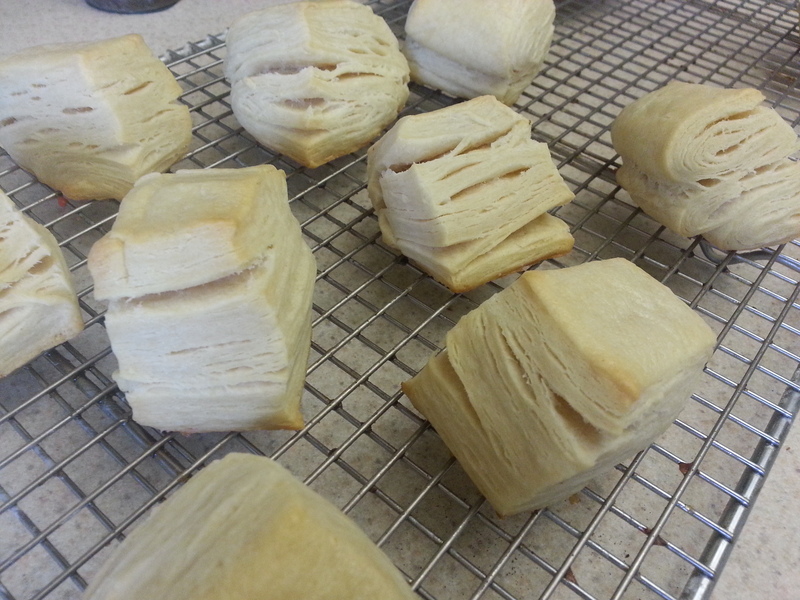 Then you can enjoy slowly peeling apart all of the buttery layers and eating a delicious biscuit. 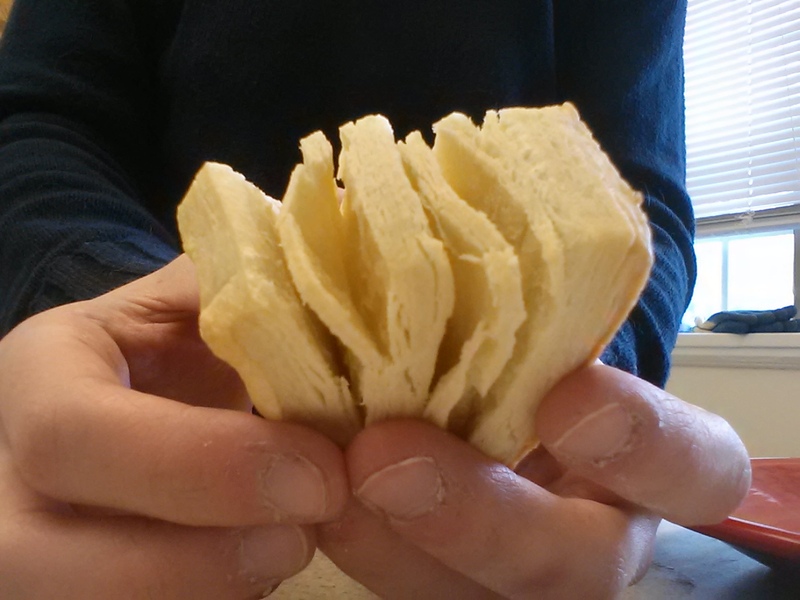 Perfectly soft and flaky in the middle, a touch salty, and crisp on the outside. Voila! I was convinced these were going to be masonry equipment, but the result was opposite in nearly every way. The texture was just incredible, and they needed absolutely nothing spread on them (although fresh jam would be fantastic I’m sure). If, like me, you wish to gamble with your cholesterol numbers…they’re kind of amazing alongside a fried egg that’s still slightly runny. 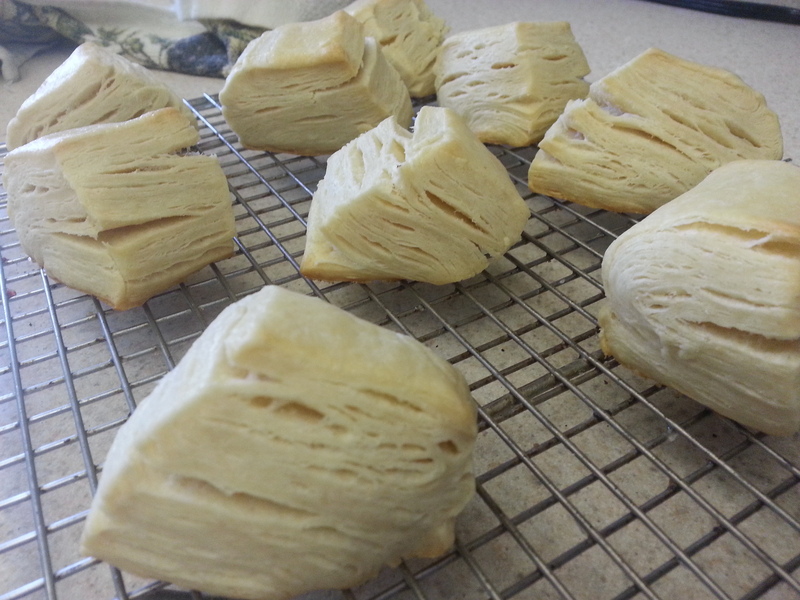 It’s not the quickest biscuit recipe, but it’s hands-down my new favorite. I doubt I’ll have the patience to make it my every-weekend recipe. Even so, it was truly the happiest of accidents. So go ahead. Handle the dough, roll the dough, and go nuts. Follow what I’ve written and you too will wonder why everyone has been lying to you. Maybe it’s a conspiracy among southern cooks to never reveal this secret. If I disappear, I wish you to assume that I’ve been kidnapped by someone’s grandma and locked in a basement for my crimes. Happy baking!